When Tim and I first started dating, we always shared the same dream of wanting to own and operate a farm. Just last week, our dream finally came true. We bought a farm of our very own in Mayville, Wisconsin! If you are familiar with the Dodge County area, you may have visited our farm before because it has been a You-Pic and Ready Picked strawberry farm for more than 40 years. We purchased the business from Wayne and Cindy Zastrow who were also first generation strawberry growers when they purchased the farm from the Steinbach family, 20 years ago. 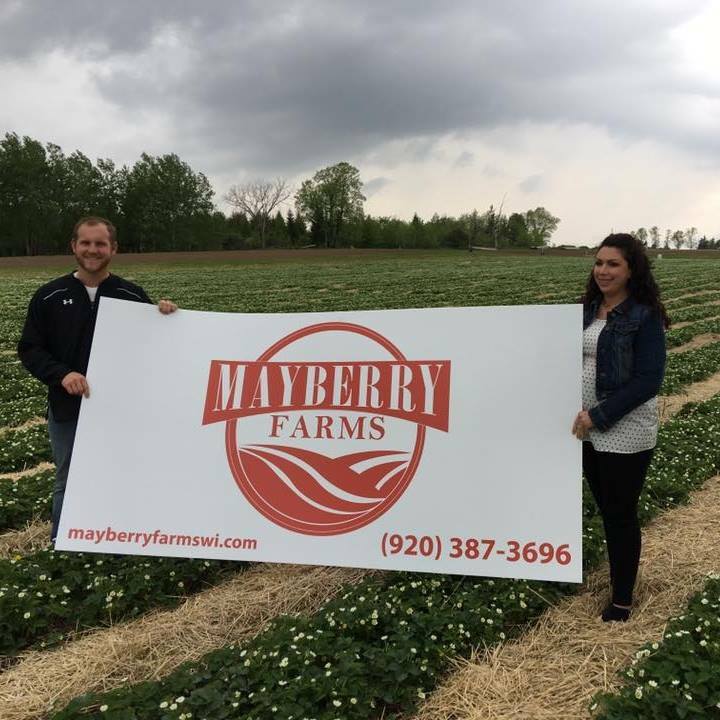 Our farm will continue the strawberry growing and picking tradition, but the name will change to Mayberry Farms. We do have plans to expand the business over time. New this year, along with accepting cash, check and WIC, we are going to be accepting debit, and credit cards as well as Apple iPay. We’ve also planted sweet corn that will be available in August/September to purchase direct from the farm. We are excited to welcome people on our farm, sell a product they will take home and eat or feed to their families. We’re also grateful for the opportunity to raise our soon to be two sons on a farmstead. Most of all, we are looking forward to the hard work, the sacrifices, the blood, sweat and tears that comes with the lifestyle. And of course, the happy times when we’ve had a successful season, or as we watch our family learn those lessons that can only be learned on the farm. Sometimes we get the feeling that people think we’re a little bit crazy for making this move, even if they don’t say it to our faces. We could not have entertained the idea of becoming strawberry farmers without Wayne and Cindy’s mentorship. They’ve taught us everything about planting, caring for, and harvesting strawberries along with managing the business and dealing with employees and customers. We also want to give thanks to the training we’ve received and the relationships we’ve gained through our involvement with the Farm Bureau, we have a tremendous amount of knowledge and support to help us. Tim and I know that while our decision, may not seem like the obvious choice for two kids who grew up with row crops and livestock. Many people may even wonder why we did not stay involved with our family’s businesses. We had and still have big dreams, and with an open mind about where our dreams would land us, we made it a reality. We know that through this all, God has shown us that our decision is exactly His will. 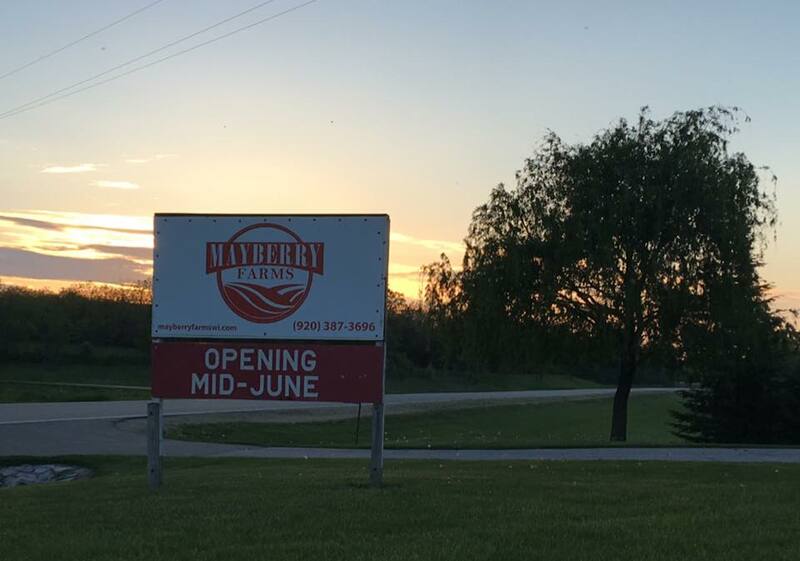 We cannot wait to share this new journey with you all and we hope that if you’re in the Mayville area during strawberry season, mid-June to July, you’ll stop by, say hello and pick up some strawberries. 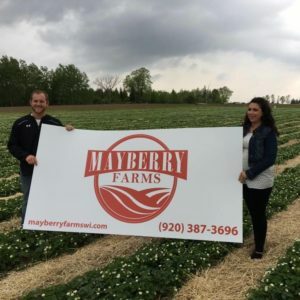 Please connect with us on our Facebook, Instagram and Pinterest pages, you can find us by searching Mayberry Farms WI. You can also visit our website www.mayberryfarmswi.com.